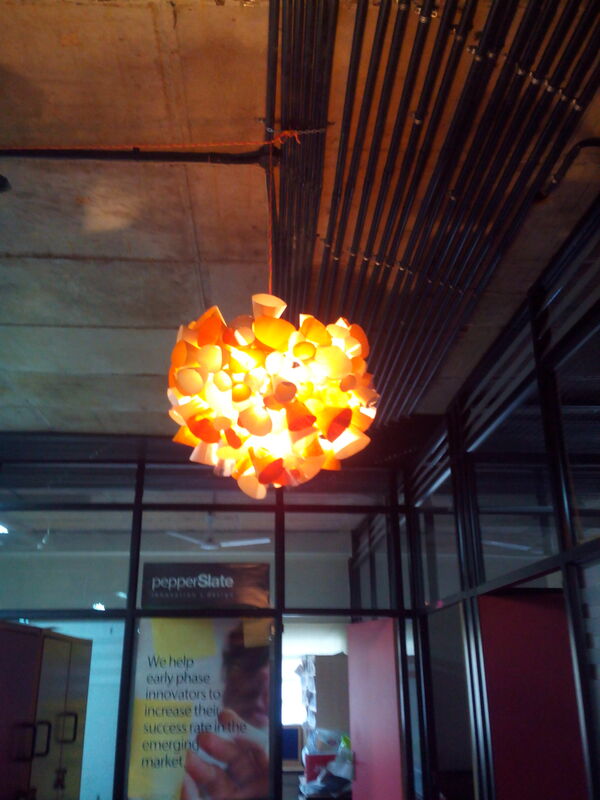 It was a pleasure working with Jitesh, who is an architect turned visual artist and lighting designer. He conducted a three day workshop on lighting spaces. 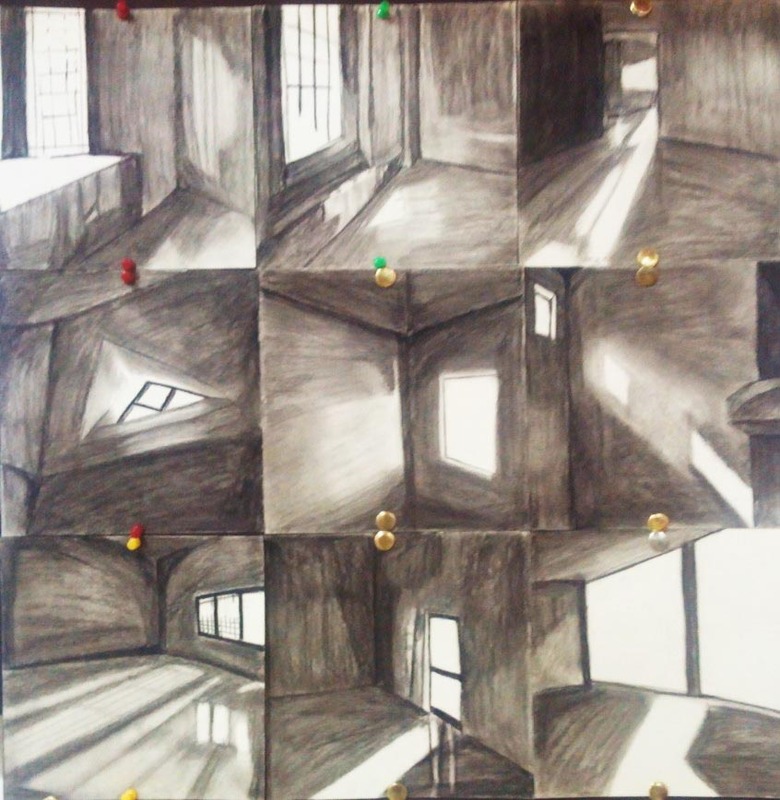 I liked the approach of understanding light with its counterpart – shadow and starting with light and shadow sketches. Sketching was a great means to understand the flow of light in a space and looking out for a frame where natural light plays a dramatic role in a space. It definitely helped me understand how openings affect a space. 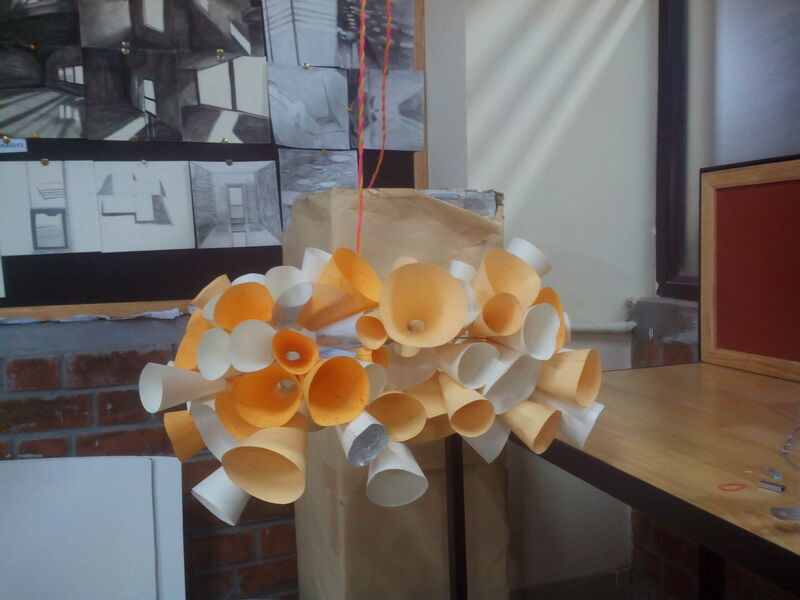 The presentations given by Jitesh were highly inspiring to experiment with light as practice. Another exercise to understand the formation of shadows because of physical obstruction of light was intriguing. 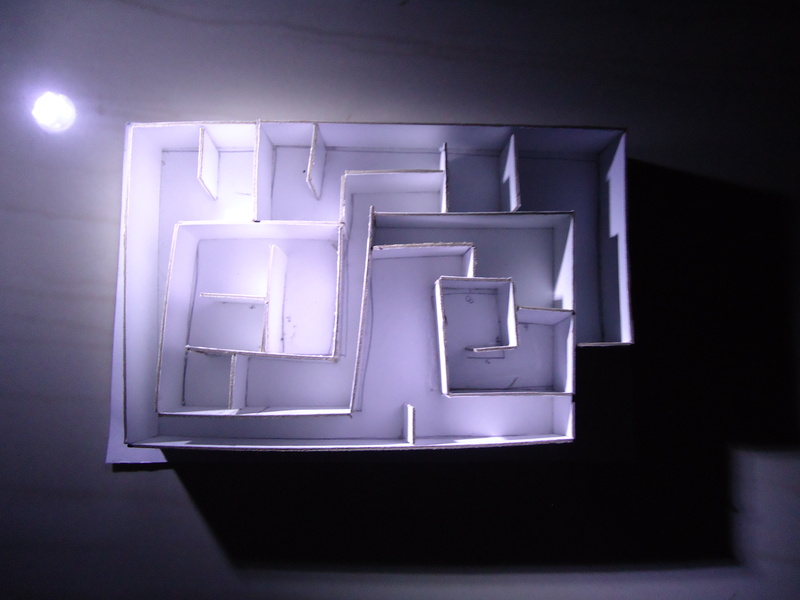 The formation of a maze structure to observe light and shadows formed by changing various elements of the source light was helpful to learn about the effect of intensities of light in a space. 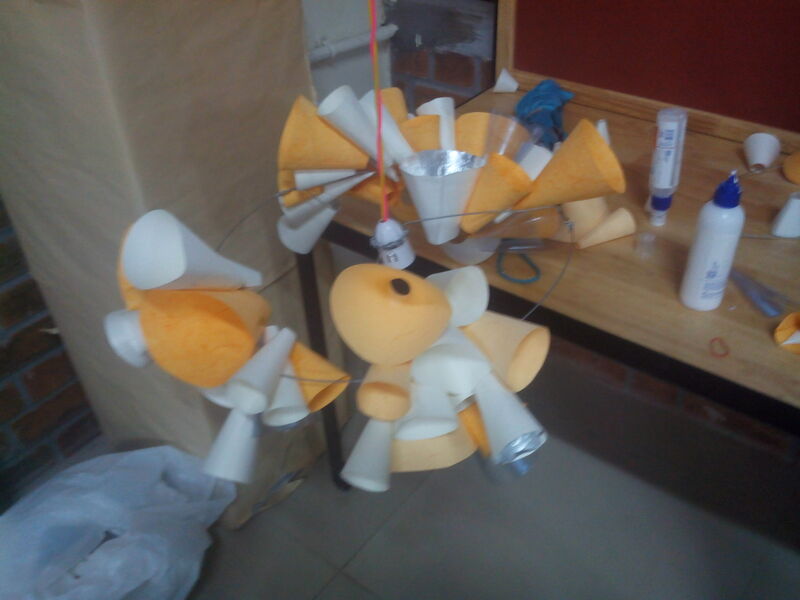 For making a prototype of a luminaire, a space was to be chosen in the campus which was supposed to be lit. We were free to choose the source of light (natural or artificial) and also the position of the source (internal or external). 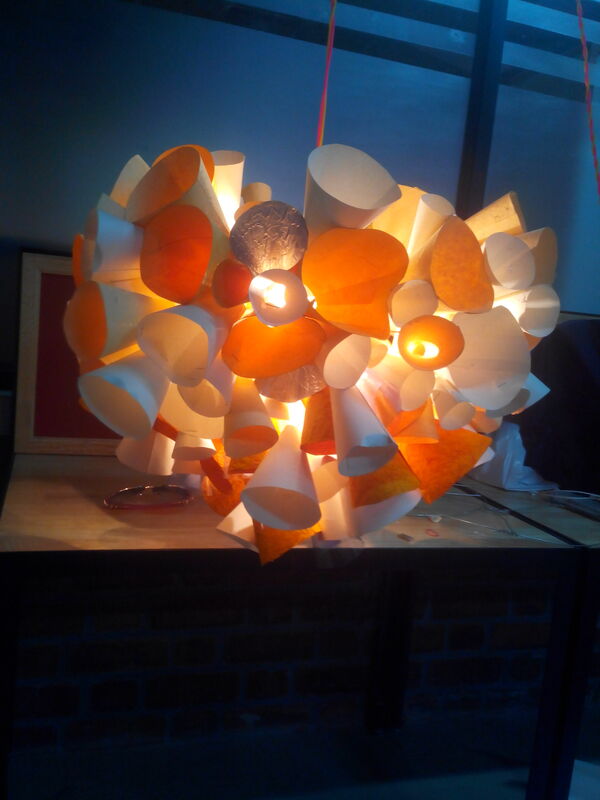 The luminaire which was to be created, was supposed to be contextualized according to the space chosen. The reason for choosing the space and the design proposed should have been justified. 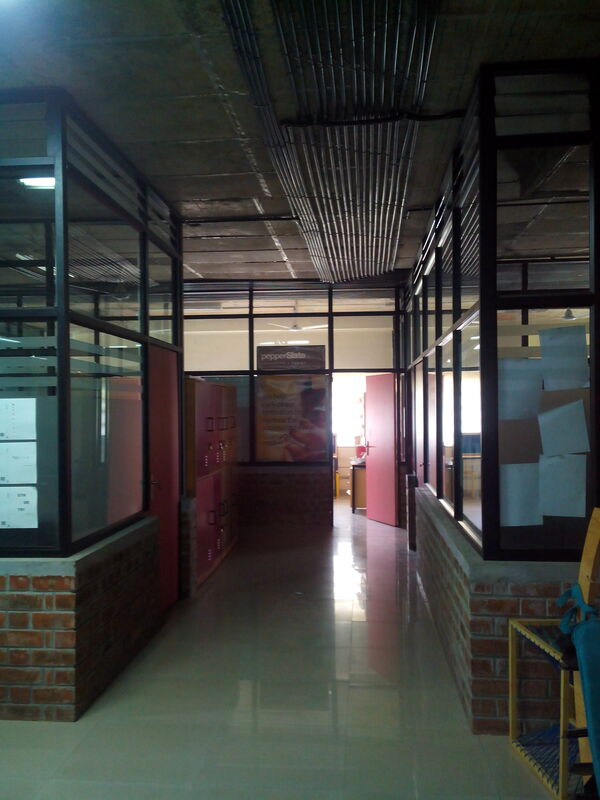 I chose the corridor in front of the ‘Pepperslate’ office at N2 campus. 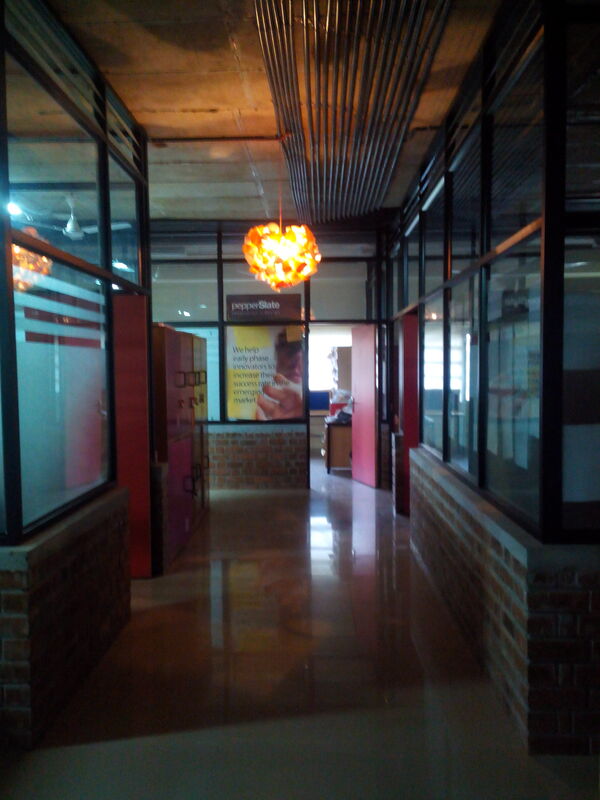 My purpose behind choosing that corridor was to bring life to it and make it noticeable. That space seems like a dead space and hardly anyone knows about that place in the campus. My intention was to propose a luminare in that space which could possible attract people’s attention and compels them to walk through it. I was initially very excited about the space and wanted to make it interesting. I was thinking of using the natural light coming in from the room at the end of the corridor into this space. 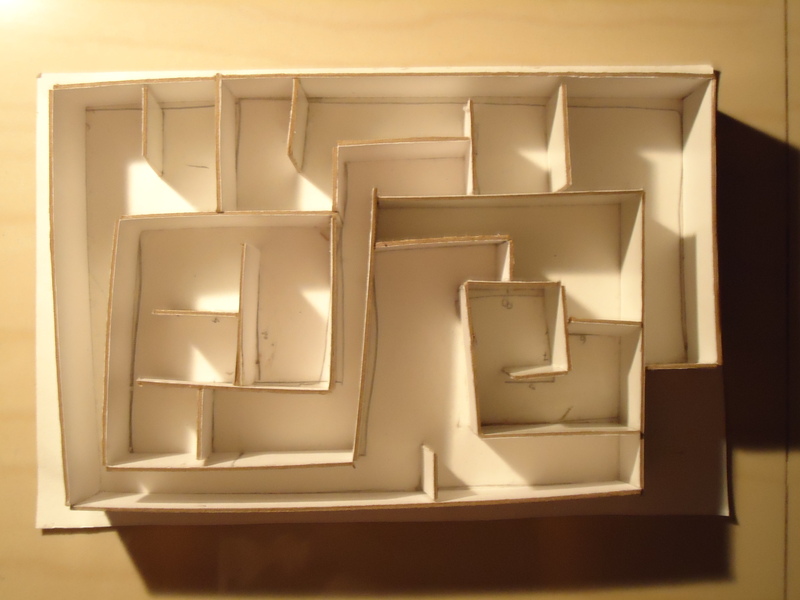 Later, I felt that the task was nearly impossible due to the time constraint (36 hours) and also due to the irregular direction of natural light coming through the windows. I thus came up with the concept of covering the ceiling completely with some luminaire forms and other reflector spheres such that the lights coming out from the luminaires falls on to the reflectors and thus illuminates the whole space. I wanted to give the luminaire an interesting form such that there is a play of light and shadow in that space and a dramatic effect is obtained in the corridor. The light might as well fall outside the corridor which in turn can attract people. The form of the lighting itself was sufficient enough to make the space lively. 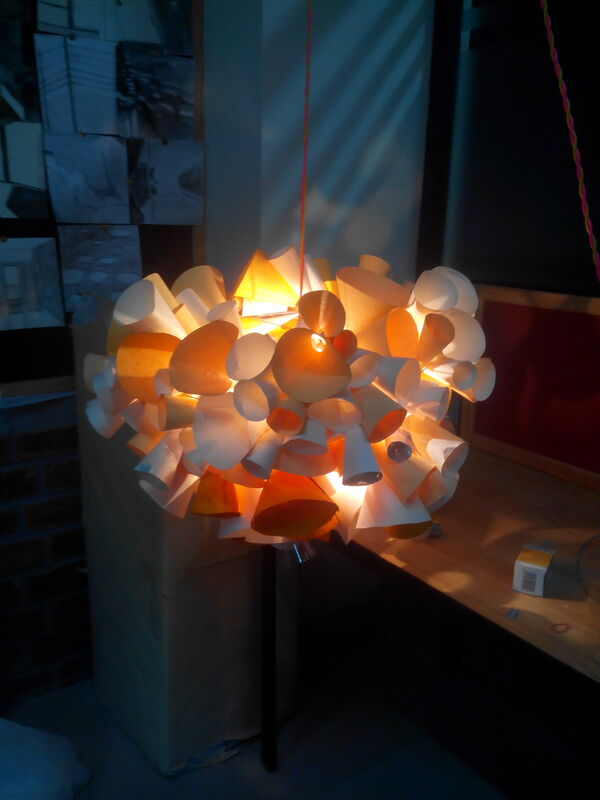 I thus came up with a form made up of conical shapes such that some of the cones are closed and the others open, some are fixed with a colored film and some with a reflecting film so that light can be illuminated in a playful manner. I started working on the concept and started making the cones with the help of various kinds of handcrafted sheets and catridge sheets. While making the cones for the first luminaires at night, I soon realized that the proposed concept was a little too much according to the time provided for completing the task. I felt disappointed because I knew that I won’t be able to achieve what I had thought of. The next day, I started building upon the luminaire with the cones I had. 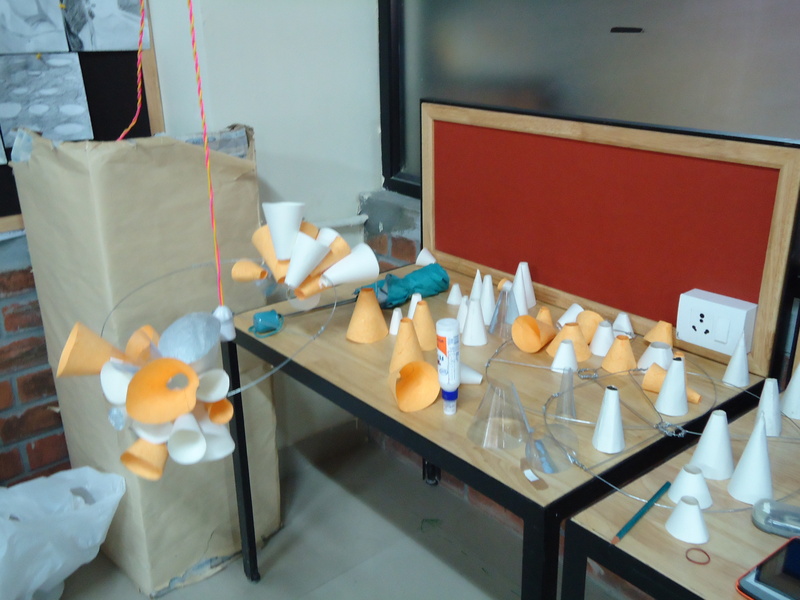 I had already prepared a wire structure to hold the paper cones. While working on the form, every time I felt that this is not what I had thought of. Don’t really know how the luminaire is going to turn out. In addition to the misery of my thoughts, I was further getting low because of the time the luminaire was taking to be built. At the beginning of the process, I really couldn’t picture what the form is going to look like. It was a complete state of disaster for me. My under confidence in my product was being fuelled by the completion of the other groups’ works. Just then when I was not really happy about what I was doing, I confronted Jitesh and Urvashi – the facilitators of this workshop. One thing that Jitesh told me then is something that is learning for me for life. He just said to me, “It is just an experiment, even if it won’t be what you have thought, it will turn out to be something. Don’t be scared of experimentation.” This point of time the fear of what my product might come out to be simply vanished. My feeling of disappointment was instantly turned into inspiration to work and finish what I have started. I thus started working energetically, to see what the final form will turn out to be, to see what the result of my experiment is and to know what I have coincidentally achieved. After a little hard work of making cones and putting them all together, I did come up with a form. Different from what I had thought but still – interesting! I was happy with the experiment. Never thought that I would experience one of the biggest learnings of my life. I was really happy, not because of the form but because I went through and was happy about the tool of experimentation without worrying about the result. One thing I realized while going through another presentation of Jitesh while I was working on my luminaire was that, it is not easy to work with light. It does require a lot of work and experimentation to achieve the exact effect that one is looking for. Even then, the energy might surprise you with its beauty in some or the other way which in turn might result in a change in the form.